27 January 2015 by . The last time we spoke about the conflicts occurring in this time and that the reason for the conflicts between men lies in the spirit. This means that it is basically a conflict between spirits. We recommended that you should think about what the Trinitarian Spirit has brought to your attention, about how the spirit of evil acts as well as the spirit of God. I believe that you have prayed in these days and particularly the Holy Spirit that He may unite you to Christ; only when your are united to Christ in the Holy Spirit you are Christians; then you will be united to the Trinitarian power which keeps Satan and evil away from you. Today we will hear about certain events that have been provoked by Satan; afterwards we will think about what approach we should take and what we should do. Let us listen. all the events that occurred in early 2000. Soon the humanity of the Earth would get a taste of the first fruits of the actions planned by Lucifer and his Illuminati. On September 11, 2001 the Earth witnessed an unprecedented event: an attack in the heart of the United States of America, that is, the biggest world power. Some terrorist made two airliners crash into the Twin Towers of the World Trade Centre in New York and one on the Pentagon; the fourth was designed to hit the Capitol Building and the White House; yet, it did not reach the target and crashed on a field. Around three thousand people died. The responsible for the conception and realization of the attacks were the affiliates of an Islamic terrorist organization, sadly famous as Al-Qa’ida, whose head was at that time Osama bin Laden. That organization had formed in 1979 and grew until becoming what it still is today: a snake pit. The attacks of September 11 had extremely serious consequences on Earth: in response to the suffered attacks the United States began the war on terror which involved many other countries and is lasting until today under various forms. Futhermore, intollerance towards Islam increased for being considered the craddle of terrorism. So far the official story achieved through the analyses of the facts from many points of view except for one: the spiritual aspect. Who armed the hands of the terrorists? Who led them to the achievement of a target of such magnitude? It still seems unbelievable that such an action could be successful almost to a hundred percent. From our point of view the answer is only one: it was Lucifer’s hatred and the plots of the Satanist of Earth to make an otherwise impossible action possible. Hosts of demons and damned participated, in fact, in the terrorist action; they had been invoked incessantly for month and month before the attacks. A real act of force carried out by Hell. Through the attacks of September 11 Lucifer had achieved some of his important goals: to kill thousands of people and cause panic all over the world; to arouse religious hatred between Christians and Moslems: to unleash a war on terror; especially, to create again two opposing blocks, the Christian West and the Eastern Islam. What he had not accomplished at the time of the cold war, in which the United States and Europe were opposing the Soviet Union, could now be realized: a world war. Not just any war but a war between religions and civilizations, a kind of new crusade. In addition to this came the hatred of the Al-Qa’ida terrorists against Israel, a hatred that Lucifer never fails to feed. After the attacks of September 11, 2001, the Earth was again destabilized and seethed with hatred and fear; confusion had taken over everywhere. Di questo gioivano i demoni e i loro amici che pensavano di poter finalmente piegare l’umanità della Terra, colta di sorpresa dagli attacchi dell’11 settembre. Dalla storia conoscete le vicende delle guerre che seguirono: quella in Afganistan del 2001, in Iraq nel 2003, alle quali sia aggiunse una lunga scia di attentati e di odio. The demons and their friends were pleased about this thinking that they finally could bend the humanity of the Earth taken by surprise by the attacks of September 11. You know the history of the wars that followed: the one in Afghanistan in 2001, in Iraq in 2003, as well as a long series of attacks and hatred. God allowed all this because of His respect for your freedom. In vain he waited for the humanity of the Earth to call Him humbly for help. After the first clamour produced by the attacks of September 11 and the wars they caused, the humanity of the Earth slipped again into torpor. However, God intervened to prevent even worse consequences: He sent the faithful brothers and sisters several times to destroy the arsenals of the terrorists and the States which protected them. History does not speak about this; had God not intervened, the third world war would really have broken out. The events of September 11 signalled a turn in the history of the Earth, not only for the consequences they provoked but also because they were, in fact, a general test carried out by Lucifer and the Illuminati to increase control over the masses. After the attacks several measures were indeed implemented to restrict the individual freedom – they are still in place – in order to contrast the danger of terrorism. That was exactly what Lucifer and the Illuminati wanted: to control the life of the people in an increasingly invasive way. The world found itself in a climate of suspect, fear and global control. The third millennium had begun in a way that did not bode well. Two mighty armies, that of God on the one hand and that of Lucifer on the other hand, took sides on the field ready for battle. Yet, God was watching over His children and preparing great events for the humanity of the whole universe. You have heard about the events and Lucifer’s main points of action: “the intensification of the action of the Confederation of the Light and the relationships between the planets” to instil fear; “particular interventions on Earth to eradicate the faith in God from the hearts of the people” especially of the Christians; “ increasingly massive recourse to terrorism” – it is in front of your eyes; “the preparation for the coming of the Antichrist.” We are in the time when the Antichrist is emerging ever more; however, then the Antichrist in big letters will manifest himself. What does Satan want to achieve with these points? First and foremost he wants to provoke fear, confusion, terror and the eradication of faith. These are not items mentioned by the way – fear, terror and the loss of faith actually disarm man so that he becomes a victim of the enemy. What can we do against it? We can achieve the contrary effect by being with God: then, we will have peace, clarity, understanding, a better understanding of the situations, the ability to undertake the action that comes from God’s grace. I would like to highlight a few points that will prepare us for the coming readings. We will not speak anymore about the actions of Lucifer and his followers. 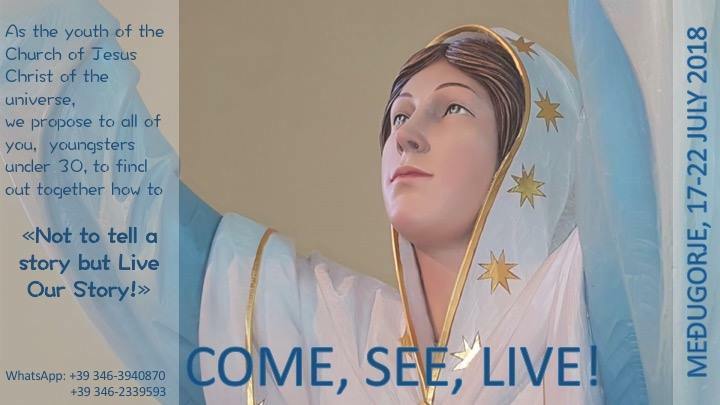 During the last years you could read on our site that Our Lady has declared through Stefania Caterina that wonderful times are coming for those who belong to God and terrible times for those who are against God. So, here we want to raise a question: what shall we do, which way shall take? The book tells us that before the attack on the Twin Towers of New York: “Hosts of demons and damned participated, in fact, in the terrorist action; they had been invoked incessantly for month and month before the attacks. A real act of force carried out by Hell.” Can the people of God wake up to counteract that action? Can they awaken their faith independently from the response of certain representatives of the Church on certain issues that we have published during the last years in the name of God explaining how things went? One fact is mentioned in this reading: God has helped us several times through the intervention of the faithful brothers and sisters who destroyed dangerous arms intended for the destruction of humanity; yet, who stood behind this action? The universal Church, the Church of the whole universe, which had been praying incessantly. Without these brothers and sisters the humanity of the Earth is unable to get out of this confusion and terror. Why did the official Church not tell the truth about the faithful brothers? The brothers and sisters appeared even before the Popes. Why did the Pope not call the Christians to participate in this event which aimed at stopping evil and speeding up the recapitulation of the whole universe in Christ? We do not know why and we do not want to judge; however, this is what we have read in the conclusion of this piece: ”Yet, God was watching over His children and preparing great events for the humanity of the whole universe.” From now on up to the end of the book we will inform you about the action of God in the whole universe as well as His graces and His instruments who call on the people of God on Earth to respond independently from the official representatives of the Church of the Earth. We invite you to pray to the Holy Spirit incessantly so that He may enlighten you and make you ready to understand and welcome the action of God and to join the action of the universal Church, the one that descends from the Heart of Jesus and wants to embrace the whole Earth and the whole universe. We advise you to listen carefully and accompany these meetings with your prayer so that the light of God and His grace may touch as many as possible, Christians and non-Christians, all men of good will. We will speak no more about Satan; we will speak only about God; we want to contemplate His face, His action. This is the path of our faith. I bless you; may the Holy Spirit guide and protect you; may the Holy Spirit give you the seven gifts to understand and discern, to receive the knowledge and be brave in this time, to participate in the action of Jesus in the whole universe so that the universe is recapitulated in Him who is the Head of the Church; in the name of the Father, of the Son and of the Holy Spirit. 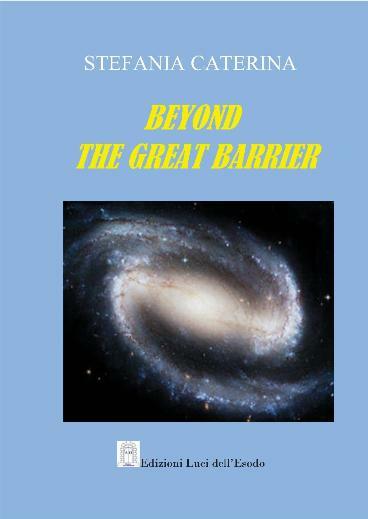 See “Beyond the Great Barrier”, chapter 15; the message of Jesus of August 6, 2012, with the title: “The Antichrist will have to manifest himself”, published on the website www.towardsthenewcreation on February 1, 2013.